Today I want to give you some tips on how to overcome fear of public speaking🙂. This fear manifests itself through the feeling of dread that you get before a presentation, and I’m not talking a little butterflies here (which is very common); I’m talking about intense ANXIETY, chest tightness, cold sweat, NAUSEA. A SINKING feeling in the pit of your stomach. Similar fears include social phobia, in which the person have a strong fear of being judged by others and of being embarrassed in front of other people. Without me having to say it out loud, these fears could harm you professionally and also personally. 1) KNOW your topic inside out. Do lots of research. When you are knowledgeable about the topic that you will be presenting it helps you to become MUCH more relaxed and calm. That’s because you can now focus on giving a great speech rather than worry about what questions will be thrown at you. Being familiar with your subject matter will also help you in remembering the key points of your speech better. 2) PRACTICE, PRACTICE, PRACTICE – You’ve heard it before and I’m saying it again here. Nothing takes the place of practicing and rehearsing for your speech. In the process of rehearsing you would start organizing your speech and thoughts. 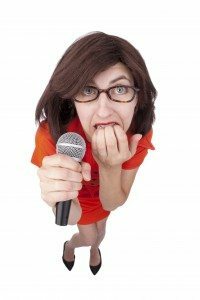 Knowing that your speech is worthwhile and organized can GREATLY reduce your speaking anxiety. 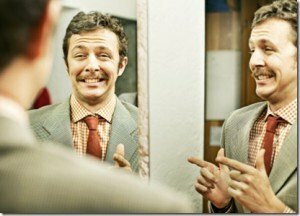 3) Better yet, rehearse in front of a mirror. Or record your speech on your phone or video camera. Then listen to it or watch it, and make notes on how you could make it better. You will feel awkward at first but that is very normal. Persist with it until you find yourself becoming less self-conscious about your own voice and image. 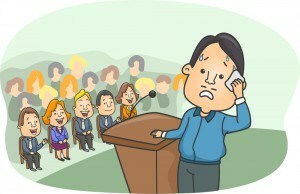 4) Know that ABSOLUTELY everyone feels nervous before their first speech or presentation. Even Presidents, and Prime Ministers. 5) Do not worry about audience reactions, instead focus on delivering YOUR material in the best way possible. Have you considered using subliminals? They are affirmations (either auditory or visual) presented below the normal limits of perception. It might be a sound that is inaudible to the conscious mind but audible to the subconscious, or an image transmitted briefly and unobserved by the conscious mind but perceived subconsciously. Subliminals have been researched for more than 50 years, and have been proven over many scientific studies. Not only can subliminals help you overcome your fear of public speaking, it can also help you lose weight, improve your memory, stop smoking, increase your self-confidence, be a successful entrepreneur, etc. There are even lots of urban myths about how companies and advertisers use these kinds of messages to persuade customers to act in certain ways. However, the truth is that subliminal messages won’t make you do or feel anything that you do not want to do or feel. There are two subliminal tools that I’m currently using. One flashes positive affirmations on my computer screen while I work, while the other is a set of MP3 audios that I play in the background while I go about my daily activities, or while I’m sleeping. 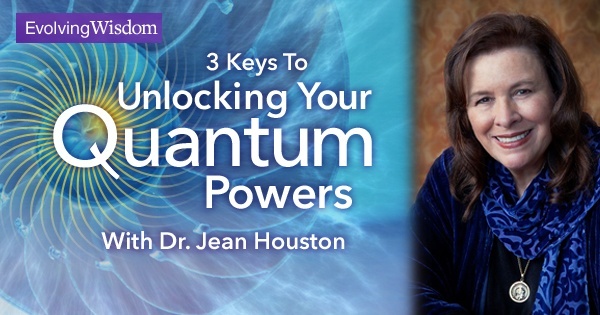 If this is something that you would like to explore further, then learn more by clicking on the two links above. That is all from me today. Please share if you find this useful, and should you have any questions or comments regarding this topic, please let me know in the comment box below and I WILL get back to you as soon as possible. Thanks! Love the post! I can relate to the affirmations and can definitely agree that they do help a lot as I used them almost every day when I was in college. Nice read and great site! Nicely put Clark! 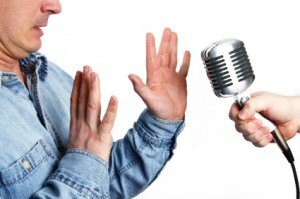 As a person who used to experience fear of public speaking myself I want to also add what helped me! After speaking in public a few times I realized that once I was actually in the act I wouldn’t feel the anxiety, it seemed that only before speaking my own mind was playing tricks on me. So I started following NIKE’s slogan and advice, “Just Do It”. Eventually, no more fear of public speaking! That is a good point. Our mind is so important in such situations, and that is where subliminals can help – to remove the fear and make us confident before any presentation. For sure knowing your topic has to help. Great article. Although I never had a fear of public speaking since my English class in middle school, where my teacher introduced us to Toastmasters, still I was compelled to continue reading. Brought back some school days memories. Nicely done my friend. I have never feared what I say, or who hears me. Good for you, my friend. Still, may I suggest that you follow the “set of MP3 audios” link above and get yourself TWO free subliminal audios? I am quite sure that you will find them useful! Great post, I always feel nervous before doing a presentation. Tip 1, being knowledgeable about the topic is what I find very crucial. The more prepared one is, the more confident one will feel. I think the top 3 advices are the best. Knowing your topic inside out will take away some anxiety as well as practising. When I had to do a presentation for school I would get very nervous and sometimes if I didn’t practise I would mess up my words and stutter. It was very embarrassing. I have found that just practising in front of the mirror with note cards really help a great deal. I would also encourage videoing yourself as it’s an easy way to spot where you need to work on :). I have not tried any of the subliminal techniques and that seems like an interesting topic. Do they work well? Absolutely. Subliminals have helped thousands of people in various ways, including overcoming fear of public speaking. Clark, I read your article about overcoming fear of public speaking and it was very interesting and informative. I agree with you that seeing positive thoughts encourages one to be in a positive mood. It has even been said that listening to some music can change your heartbeat. So I can see where soothing and tranquil music might work to make you feel at ease. Also some claim to train their minds to learn my listening to audio while asleep. In my opinion, you have a very readable site. You might want to add some pictures for the visual people. Thanks, Diane. For sure, I will be adding some visuals to the site very soon! You do a good job at normalizing some aspects related to public speaking. I think that you are right, anyone would be somewhat stressed and nervous. But knowing your topic very well is for sure useful. As it increases your confidence. Paying too much attention to the audience will only increase your agitation. Focusing on what you know, your topic, will probably calm you down. I have never tried subliminals but that’s also a good option it seems. It sure is. Your subconscious mind is the one that determines the level of your fear, and subliminals can help you overcome your fear on the subconscious level.